Photo by Cindee Snider Re. If you like to start your day with a glass of warm lemon water, I certainly won't stop you. But let's take a look at the supposed benefits of this ritual. It's not a magical metabolic tonic. Reader's Digest, in listing "12 insane benefits" of drinking lemon water, cites a study to support the idea that some of the compounds in lemons "prevent weight gain". The study was in young mice (who are still growing, hence the study of weight gain) and rather than a morning glass of lemon water, they were given a mixture of polyphenols, chemicals extracted from lemons, in an amount that made up 0.5 per cent of their diet. The results were somewhat promising, if you remember that these weren't people, they weren't drinking lemon water, and they weren't losing weight. The results were somewhat promising, if you remember that these weren't people, they weren't drinking lemon water, and they weren't losing weight. It is made of liquid. Another weight loss benefit of lemon water is that it fills your belly so you don't eat as much breakfast. This is true, but also applies to regular water. It is very low calorie. Reader's Digest, again, points out that water with a slice of lemon has fewer calories than if you filled the same size glass with the sugary juice of many oranges. Yes, that's true. Lemon water is made almost entirely of water. It won't "detox" you. Because that's not a thing. It's not full of electrolytes. "Not that I was drinking it straight, but half a cup of lemon juice has about 125 mg of potassium compared to about 211 mg in a banana," Dina Gachman writes at Prevention. OK, but if you're not drinking a half cup of the stuff, what good does that maths do us? Here are the numbers for the amount of juice in one lemon wedge. Check out all those zeroes! 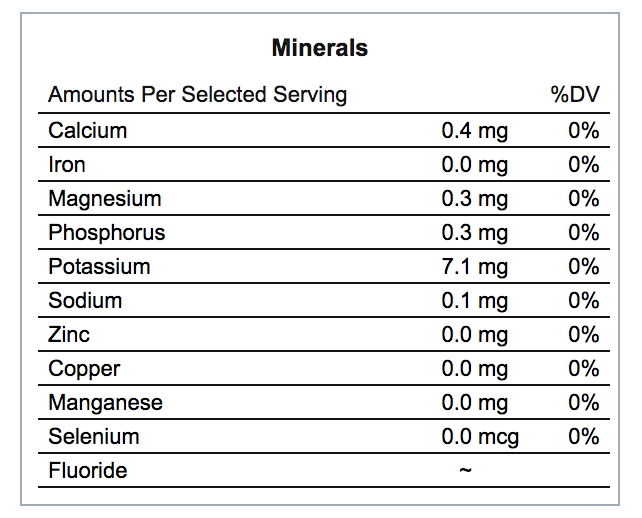 Minerals in the juice from one wedge of lemon. Thanks, Nutrition Data. It doesn't help you digest anything. Stomach acid is acidic, and lemons are acidic, so surely lemons help you digest your food, right? First of all, stomach acid is only involved in one small aspect of digestion, so boosting it wouldn't do much for your body. But it turns out you can't really change the acidity of your stomach. If you eat something alkaline, your stomach cells squirt out more acid; if you chug lemon juice, they will hold back. It doesn't provide pectin or any other fibre. Unless you're chewing and eating the lemon slices, in which case you'll get a tiny bit. Don't get too excited about vitamin C, either. One wedge gives you 4 per cent of your daily requirement of vitamin C. If you love your lemon water and drink a whole lemon's worth, you're up to 36 per cent, which makes it a pretty good source of that vitamin. But you're getting vitamins in the rest of your food, too, aren't you? I trust that if you were in danger of developing scurvy you'd hop off your pirate ship and grab a juicy whole orange (138 per cent of your daily requirement) on your way to the doctor's. If you're just hoping to prevent colds, vitamin C doesn't do that, but it may shorten colds if you take large doses. As in, way more than what's in a glass of lemon water. In conclusion, lemon water is made of liquid, contains few calories, and arguably tastes good. That's what it has going for it. A glass of lemon water each morning might help you give up a coffee habit (why though) or help you feel like you're getting your day off to a healthy start, as you gaze out the window and envision the yoga routine you'll try later. Fine. Whatever. But that's all it can do. Lemon's turn alkaline inside your body. This explains it in more detail. 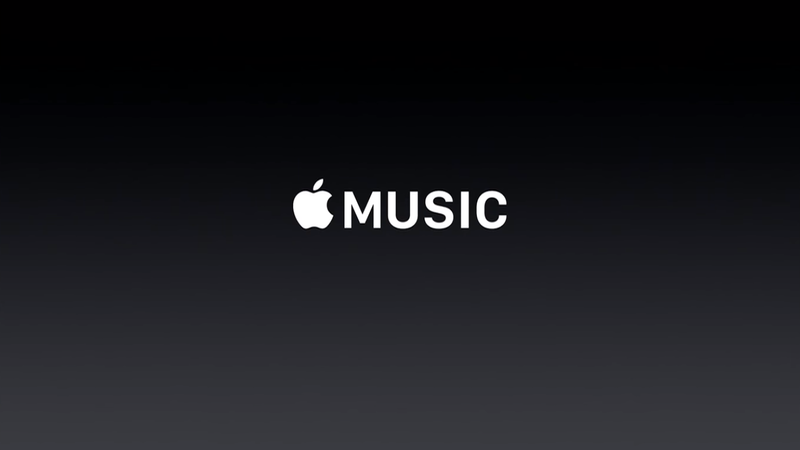 Dont you hate it when someone makes a huge all encompassing statement while ignoring one of the main claims? But it's still better than drinking sugary drinks! Doesn't matter what propaganda publications use to convince people to drink more water, it's always a good thing. 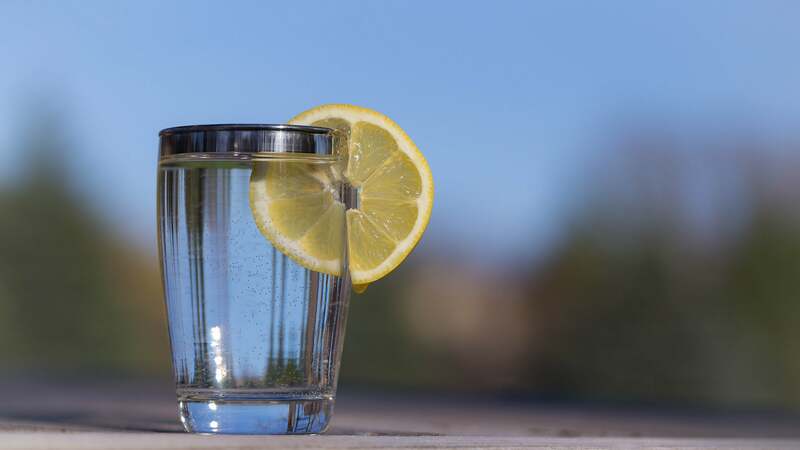 There's nothing wrong with drinking lemon water if you like the taste but, apart from hydrating you (as mentioned in the article), it doesn't have any other benefits. Some quacks would have you believe your body is too acidic and you should use their product to make it more alkaline. Although Lemon does turn alkaline in your body, it's pretty much utter crap that this (or any other food) in any way will affect the Ph level in your body.